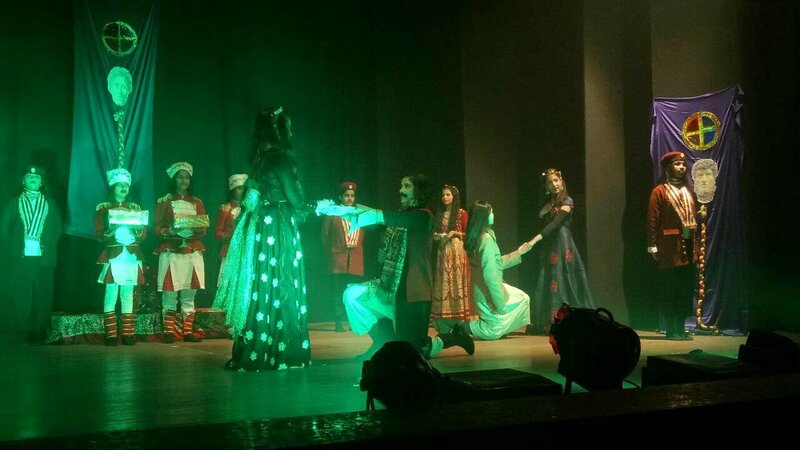 Channelising the students’ potential through theatre and spread the message to the society at large, Vogue Theatre, in association with Bharatiya Vidya Bhavan Kala Kendra organised Daryaaft 2018 - an inter-school drama competition on Wednesday for various Urdu medium schools across Maharashtra. ‘Daryaaft 2018’ Inter-School Drama Competition was the day for bolstering creativity in the children and also to promote their love for the Urdu Language. The basic idea was to promote the beauty of the Urdu Language and develop the love of Urdu Literature amongst the students. The competition was held amongst various Urdu medium as well as English medium schools teaching Urdu across Maharashtra. Amongst these schools across the state, 11 schools were shortlisted for the Grand Finale including Anjuman-I- Islam’s Dr M.I.J.Girls’ School, Bandra, Anjuman-I- Islam’s Allana English School, Kurla, MIB Girls’ high school, Chiplun etc. The chief guest for the day was Mrs. Nadira Babbar followed by the Guests of honour Dr. Shaikh Abdullah, Anjuman -I- Islam’s Vice – President and Anjuman- I – Islam’s Girls’ Board Executive Chairperson Begum Rehana Ahmed. The competition was held at Bhartiya Vidya Bhavan at Girgaon Chowpatty. The aim of the competition to enhance the Urdu language among the students with the help of drama was thoroughly achieved as the performers got a chance to unfold their latent talents. The plays were of various societal topics such as need for a change in the system, education, partition of India, women empowerment, crime against women and so on. ‘Ghar Hai Kya Ghar’ was a play about the growing trend of old-age homes which brought tears to every eye. 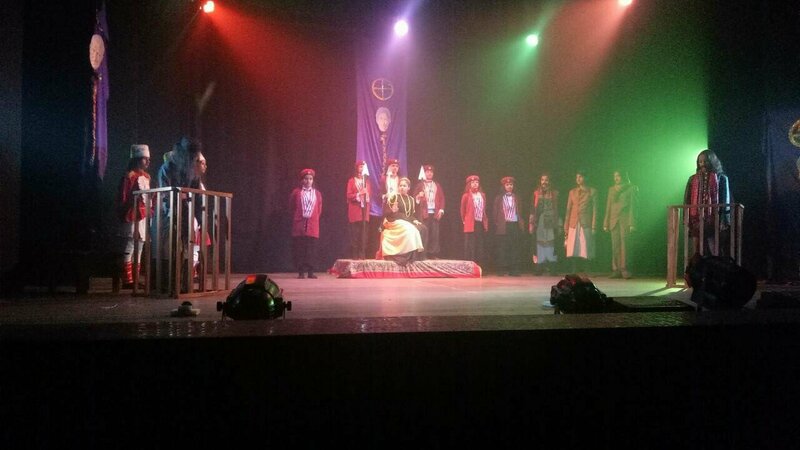 The Merchant of Venice presented by Anjuman-I-Islam Saif Tyabji school stood first while 'Roshan Aankhein' performed by Rafiuddin Fakih Boys' High School, Bhiwandi got the second prize. 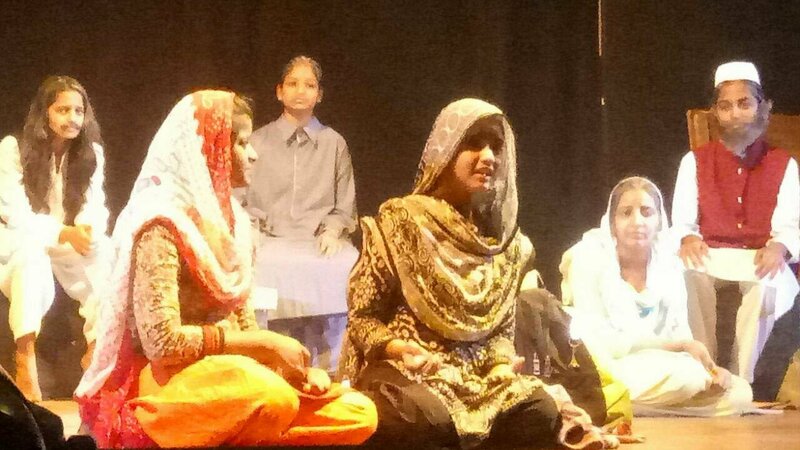 Anjuman-I-Islam's Begum Jamila Haji High School, Versova was the third prize winner which came forth with an emotional drama 'Ghar Hai Kya Ghar' and brought tears to every eye. The performers of all dramas were immensely talented and put together a wonderful show leaving the audience awestruck. Vogue Theatre created a perfect atmosphere of a magical world of performing arts for students. The group comprises of talented, dynamic professionals from various fields who believe to be the instruments of change in the society by harnessing the student’s calibre for theatre and presenting it to a larger audience to celebrate performing arts. The motto is ‘Discover the star in you’ strongly depicts their vision of 21st-century skills that need to be developed in the Gen Y kids to make them future ready and what better platform to provide to inspire them and encourage them to be the winds of change by means of Performing Arts.